Do you really need to keep car maintenance receipts? I’m trying to declutter my life. Everywhere I look there is so much paper and I can’t stand it–even my car. At least school is out for the summer and my three kids won’t be leaving all their school work littered in my car. My glove box is another source of paper. 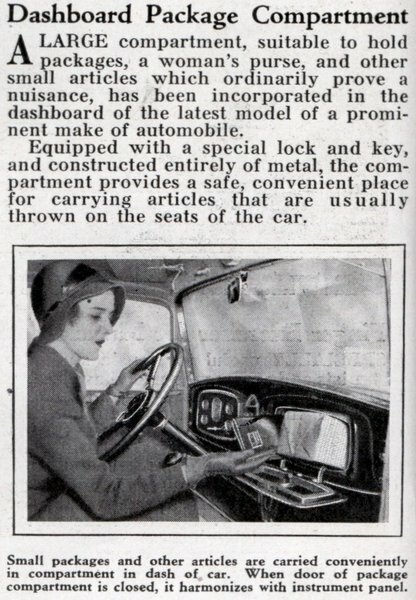 Glove boxes used to be big gaping holes where you could store owner’s manuals, registration and insurance, a flashlight, a first-aid kit and your service records. But with air bags they’ve been reduced to almost nothing. So what about maintenance records? Do we really need to keep these old fashioned pieces of paper? Sadly, the answer is yes. There are two reasons that you need to keep maintenance records: 1) they prove that you’ve followed the manufacturers recommended schedule and therefore kept your warranty valid, 2) if you sell the car they’ll show that you’ve taken care of the vehicle. There is shareware software to track your records on your home computer, but you’ll still need to keep the paper receipts. Since nearly everything in our life is automated by technology you might think that there is a database somewhere of your car’s maintenance. There isn’t. Most dealers are connected to a nationwide computer network that is supposed to make your records accessible to any dealer, but it’s not uncommon for data to be lost or entered incorrectly. Systems like, Carfax, don’t have all the facts either. And then there are still a few people who like to work on their own cars. So now that I’m going to stop fighting the necessity of keeping receipts, just how do you do it? Put the make, model, vehicle identification number (VIN) and your insurance information on the front of whatever container you choose. If you haven’t been good about keeping records and you use either your local dealer or one of the chain quick stop shops you can ask them to print your records. If you are the DIY type, it’s still important to keep your receipts for part and supplies. Use a notebook to record your vehicle’s vitals such as date, miles, amount of oil, etc. This entry was written by celestewrites, posted on June 8, 2009 at 12:33 pm, filed under Uncategorized. Bookmark the permalink. Follow any comments here with the RSS feed for this post. Post a comment or leave a trackback: Trackback URL. 10 Ways to Reduce Holiday Stress on you and your Wallet. Should You Put A Ring On It Before Buying A Home? How Long do You Need to be Employed to Get a Car Loan? This blog, while researched, is not intended as financial advice--just good sense. However, Coors Credit Union and its staff are professionals if you're looking for specific advice come see us.